I didn’t include those sites, because Kayak is confusing and sneakily includes Hotwire & car rental ads in the search results. Hotwire reservations are non-cancellable whereas reservations via the Southwest website can be cancelled and there is no penalty for not picking up the car. In my experience, Southwest usually returns prices which are comparable to CarRentals.com & Kayak and sometimes cheaper since you earn Southwest points for car rentals when booking a car rental with preferred rental car partners. 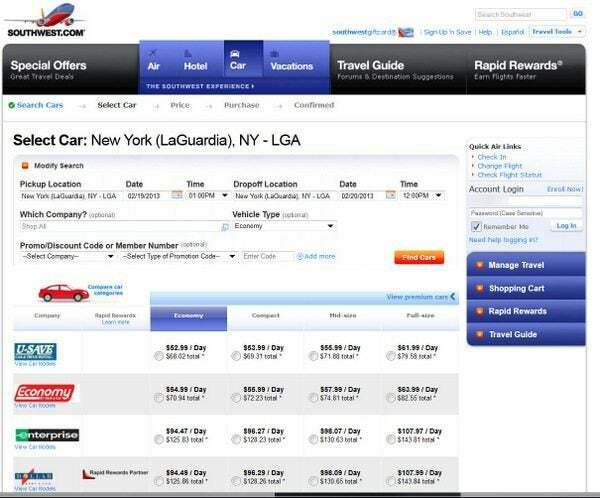 Southwest also has discount codes with certain rental car companies which sometimes leads to cheaper rates. You can find the individual discount codes on this page and can enter them in the main search box here so that you can see all the results at once. So I prefer booking a car rental on either the Costco Travel website or on the Southwest website since I know that I have a confirmed reservation which I can always cancel for no penalty in case I find a better deal elsewhere! You earn at least 600 Southwest points when you rent a car, and pay for it with a credit card, with Alamo, Avis, Budget, Dollar, Hertz, Thrifty & National car rental. Each Southwest point is worth 1.67 cents towards Wanna Get Away fares, so earning 600 points means that you are getting $10 in free Southwest travel. So while the base rate at Southwest may be the same price or sometimes just a little bit more than elsewhere, the value of the Southwest points sometimes makes Southwest the cheaper option. Some rental companies also have extra promotions where you can earn double, triple, or quadruple points, or 1,200 ($20 value) to 2,400 points ($40 value). In my tests for the rental car series post, the Southwest portal wasn’t as low as the Chase Ultimate Rewards or Citi Thank You portal or even the Capital One portal. But in 2 instances it was lower than Costco Travel and Hotwire, though it wasn’t in 1 other. $156 $46 $207 Can cancel/change for free within 2 days of pick-up. 1 day car rental penalty for cancellations within 2 days. No refund for no-shows. Citi Thank You Portal $156 $46 $207 Can cancel/change for $15 within 2 days of pick-up. 1 day car rental penalty for cancellations within 2 days. No refund for no-shows. Capital One Rewards $169 $53 $318 Can cancel for free if paid for with a credit card. No refund for no-shows. In my experience, you don’t need to be flying on Southwest to earn Southwest points or to book a car rental through the Southwest portal. 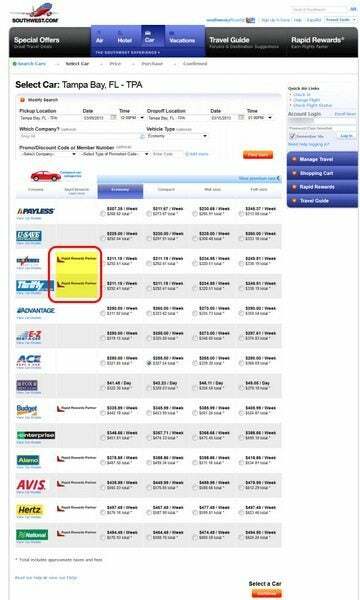 The terms for each car rental company are on this page. You also don’t need the Southwest credit card to access the portal, though it helps to have a Southwest frequent flyer number so that you can earn points for your rental. There is currently a 750 point bonus for signing up for Rapid Rewards. Search for your car rental. Southwest also has discount agreement with some of its partners, but you have to manually enter those codes and compare prices. You can find the individual discount codes on this page and can enter them in the main search box here so that you can see all the results at once. 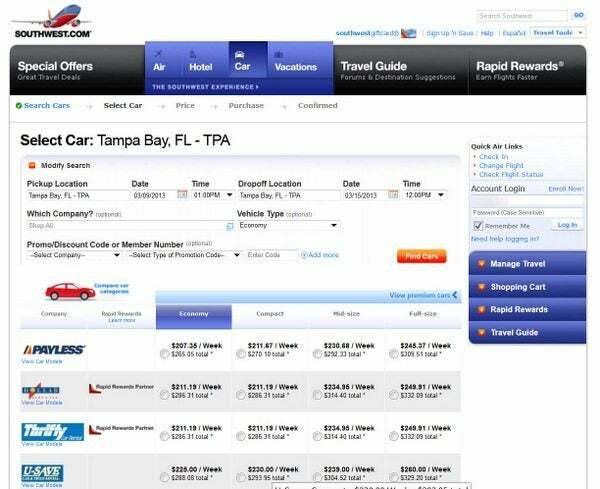 A) ~6 Days in Tampa – The cheapest rate from the 1st post in the series was $286 for a very restricted reservation from Hotwire or $156 through the Chase Ultimate Rewards & Citi Thank You portals. At $265 for Payless or $286 for Dollar, the Southwest website is more expensive than the Chase Ultimate Rewards & Citi Thank You portals, but less expensive than Hotwire and unlike Hotwire, the reservation can be cancelled with no penalty. If you add in the bonus Southwest points for renting through a preferred partner, the rental is cheaper than from Hotwire. B) 1 Weekday in New York – The cheapest rate from the 1st post in the series was $117 through Costco travel or $46 through the Chase Ultimate Rewards & Citi Thank You portals. At $68 via U-Save & $125 from Enterprise, the Southwest portal is more expensive than the Chase Ultimate Rewards & Citi Thank You portals, but less expensive than Hotwire/Costco Travel. C) ~1 Week in Maui. 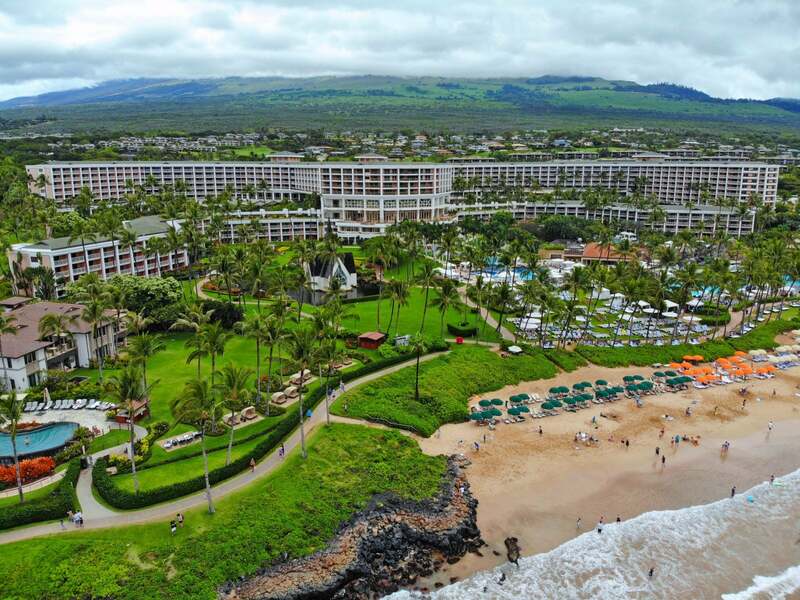 The cheapest rate from the 1st post in the series was $362 for a very restricted reservation from Hotwire or $207 through the Chase Ultimate Rewards & Citi Thank You portals. At $472, the Southwest website is much more expensive than the Chase Ultimate Rewards & Citi Thank You portals, & Hotwire/Costco Travel. 1. Restrictions, Refunds, & Fees. You can cancel a booking for NO charge online. There is no penalty for not picking up your car, though you should cancel it if you don’t plan to pick it up. You CAN book 1-way car rentals, but cannot book rentals outside of major airports in the US through the Southwest Airlines portal. 2. Off-Airport Rental Cars. 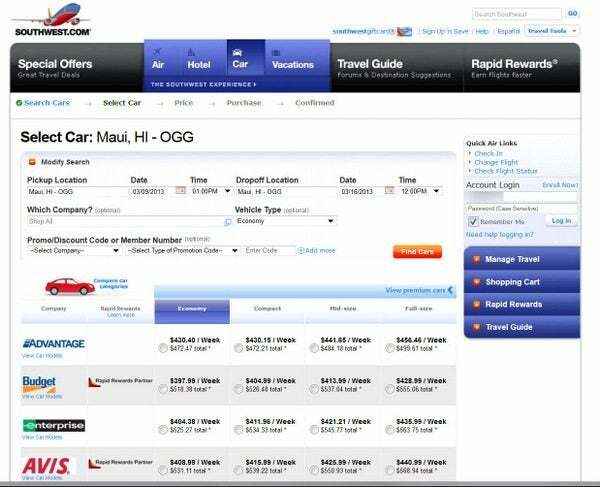 The Southwest website also shows you the prices from rental car companies which are sometimes not located on the airport like Fox, Payless, or Ace. These agencies may have lower prices, but you may lose time getting to their location. But in some cases, the savings may be large enough to justify the added travel time. 3. Earning Miles/Points. You earn 600 Southwest points (~$10 towards airfare) for any rental via a preferred car rental partner (Alamo, Avis, Budget, Dollar, Hertz, Thrifty & National). 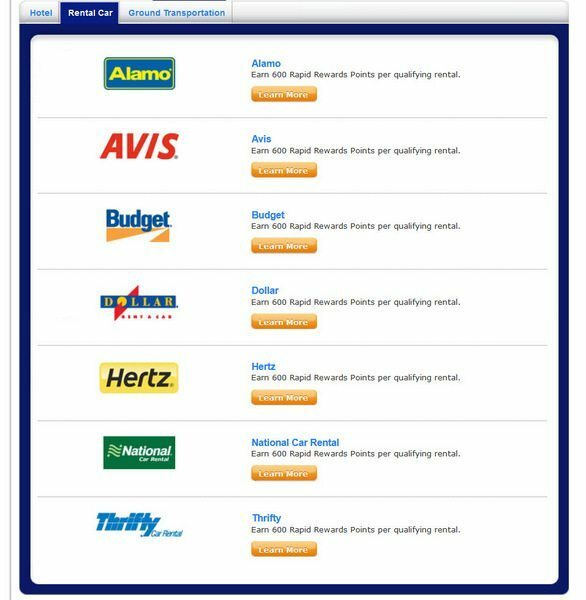 The Southwest website makes it easy to see if a rental car company is a preferred partner or not. You can find the individual discount codes on this page and can enter them in the main search box here so that you can see all the results at once. You can also earn 1,200 (~$20 towards airfare) to 2,400 points (~$40 towards airfare) for longer rentals via preferred car rental partners. 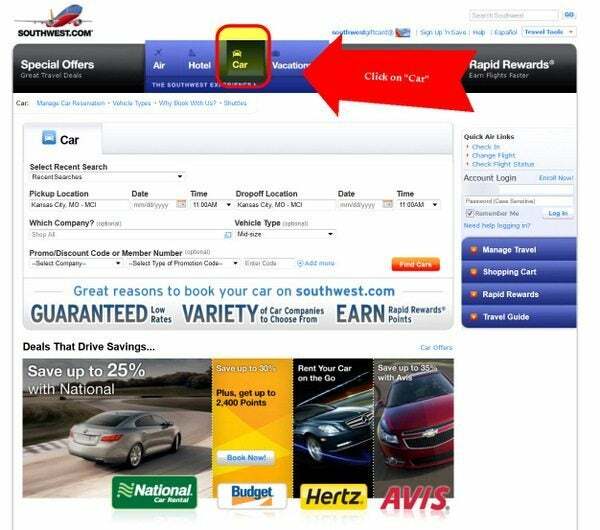 All you have to do is book a car rental from the Southwest website and enter your Southwest frequent flyer number. In case you’re wondering the base 600 points does currently count towards the Southwest Companion Pass. I will book a car rental on Southwest for $5 more than elsewhere if it means that I earn 600 points or $10 in Southwest travel. 4. Bypassing Airport Rental Car Counters. You can add your rental car membership number to the reservation so that you can skip checking in at the rental car counter and go straight to the car. 5. Personal Observations. The Southwest website is not always the cheapest. But it is a good place to start and make a reservation while you search for cheaper rentals elsewhere since you can always cancel the reservation later on for no penalty. In my experience, the Southwest website isn’t as low as the prices on the Chase Ultimate Rewards, Citi Thank You portal & the Capital One No Hassle Rewards portal websites. 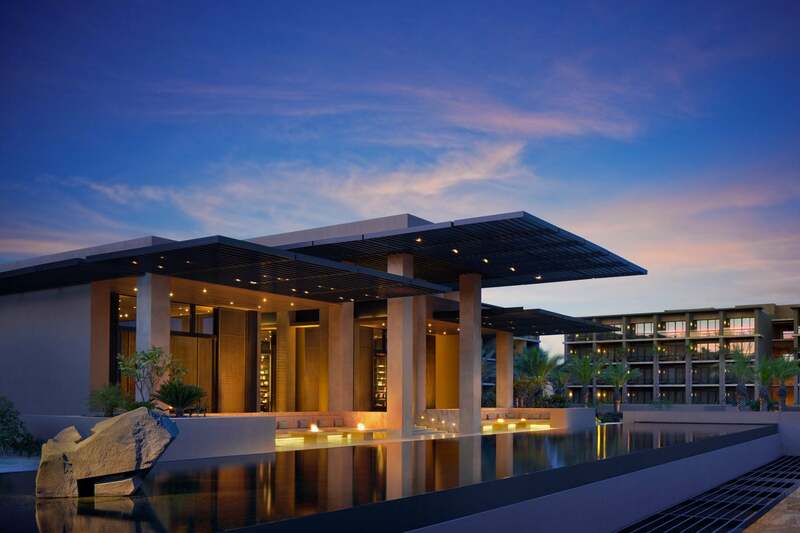 But it sometimes is fairly close (especially to Costco and Hotwire) and the Southwest points earned could make it a better choice than other websites, especially since you can cancel the reservation for no penalty. However, manually entering the individual discount codes in the main search box here can be a bit of a pain. I was looking at the fine print, and it appears as though companies like Alamo charge for the miles? So it ends up not really saving you money in the end? Has that been your experience? Or is this a new company policy? Thanks! Since I couldn’t change pick up locations to a non-airport site, I called Hertz and booked it and they said they could include my SWA RR number on the booking. Does this mean that I will get the promotion of 2.400 RR points with that booking even though I didn’t book through the SWA website? So, the base 600 counts toward the companion pass, but not the larger amount for renting for a longer time? Thanks for sharing this blog. Now I know where to go for rentals that are quite cheap considering the continued increase in rental prices. I believe that these companies are being practical and not just make up their own prices. United and Delta allow you to use miles and/or miles and cash to book a hotel or rental car; for Delta you have to do to Skymiles, then Shopping and you will see Book Hotel & Car; with Delta they say the points are non-refundable if you change or cancel your reservation even outside of the cancellation date but if you tell them you want to re-deposit and then you are going to re-book, they will charge you $35 to re-deposit your miles. Don’t let them tell you if you cancel you lose your miles; it isn’t true. United allows you to cancel and redeposit without a fee as long as you cancel online and do it outside of the cancellation window. I wish someone would tell USAIR they should join the rest of the airlines and offer this an option!